Barns. Where would you put your horse if it weren’t for barns? Or your hay, your tools, and your fancy John Deere ride. You couldn’t very well have a barn raising without barns, could you? 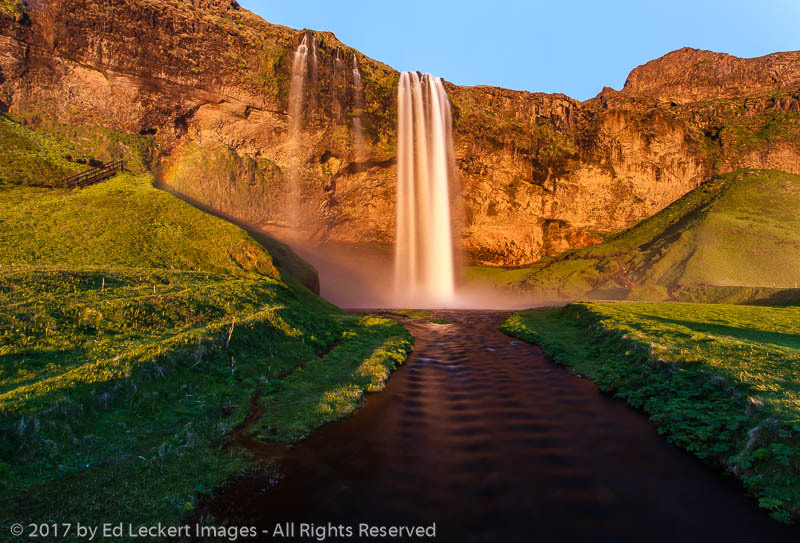 And, of course, without barns, photographers would have to find something else to photograph. 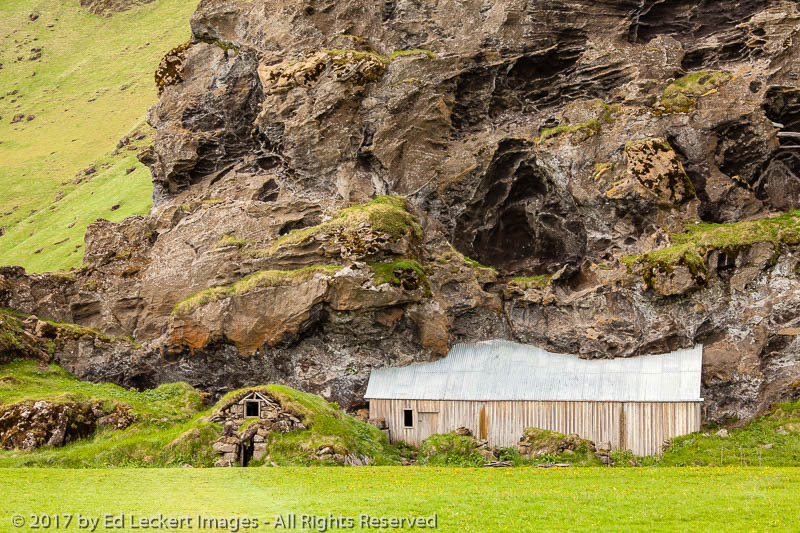 Photographers love to photograph barns. Look at any photographers’ guide book involving a rural area, and you’ll find directions to some barns in there. And why not? Barns have serious character. I won’t say no two are alike, but there are enough different styles out there to keep the hunt for them exciting. 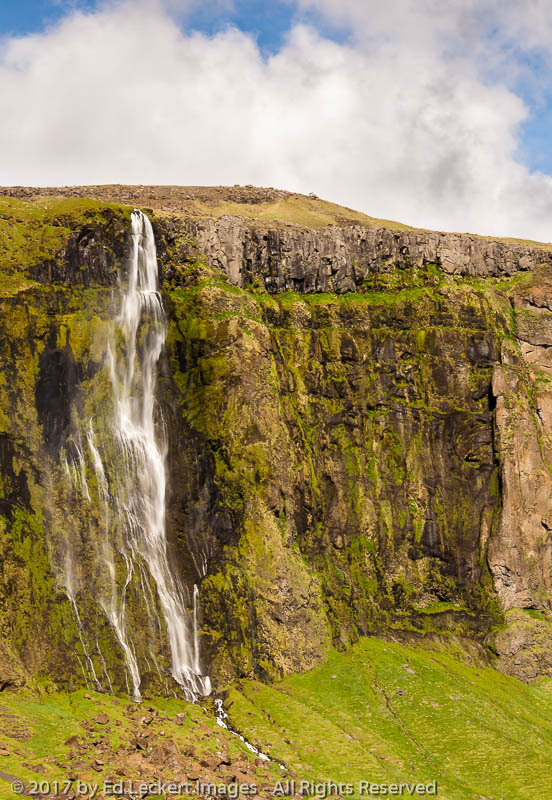 Add some beautiful countryside from all over the world and put the barns in various states of repair or disrepair, and you have plenty of variety to keep photographers coming back for more. 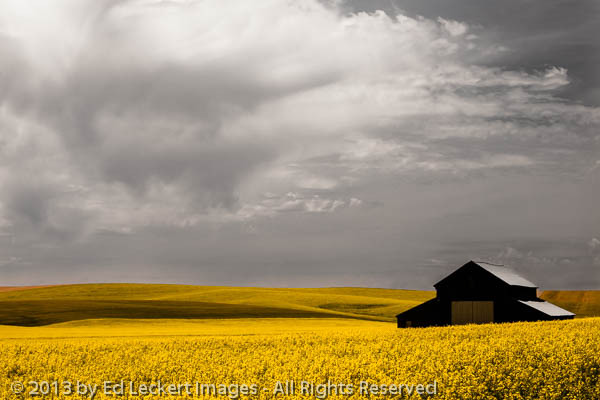 Dramatic clouds build behind a barn and a field of bright yellow crops, in The Palouse, Washington. I’ll admit, I’ve done a bit of barn chasing myself. Not as much as I probably should have, but some. So I thought I’d share a few with you, and perhaps motivate myself to get out there and find some more! 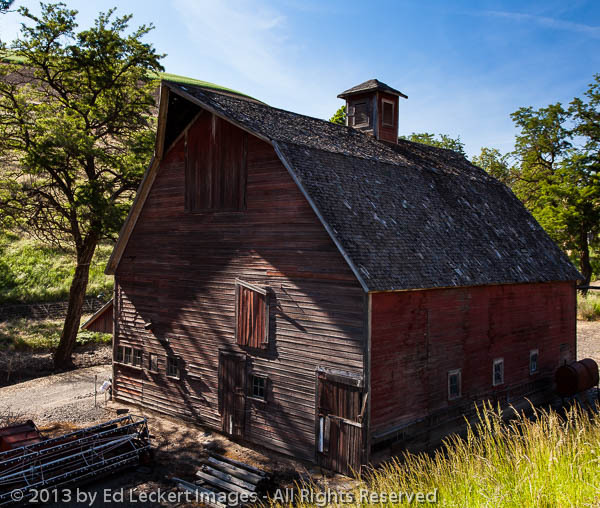 This old barn is in disrepair just enough to have some character, but not enough to fall down, in The Palouse, Washington. 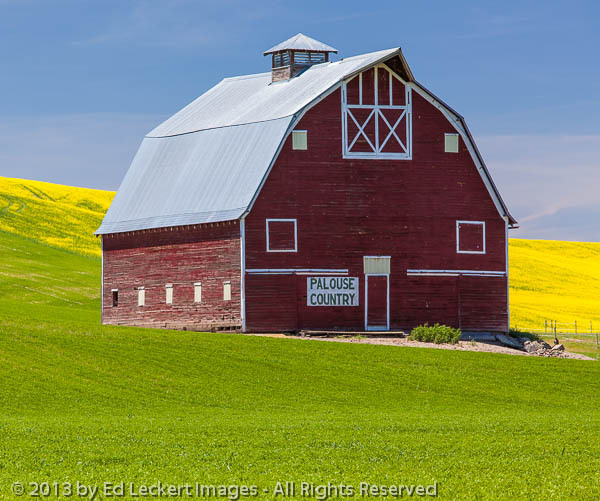 The Palouse in eastern Washington and parts of Idaho is farm country, and it’s a barn-finder’s paradise. Last year in No Tilling Whom You’re Going to Meet, I talked about the barn image I wanted to license through Getty Images, and my quest to get a property release from the owner John Aeschliman, who turned out to be famous. That barn is in perfect condition, but others run the gamut from well kept to a pile of lumber. I like the ones with a little character, somewhere in between. 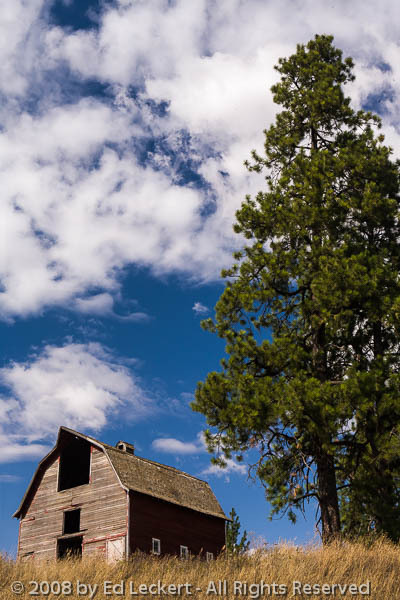 Puffy clouds pass overhead as an old barn sits atop a hill, in the Palouse, Washington. I’m currently planning a trip to Wyoming this winter, and guess what? They’ve got barns! Well, and other stuff, too. In the meantime, remember to close the barn door before the horse gets out! 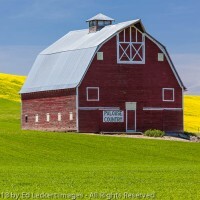 This iconic barn on the side of the Palouse Scenic Byway insures that travelers know where they are, in The Palouse, Washington. Ed, you need to go get a job! Just kidding… That’s my jealousy speaking.